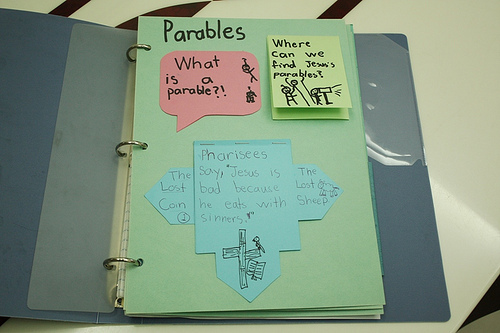 I have this theory that different types of Christians like different sets of parables. Truly evangelical believers love the parables of Matthew 13. End time-focused believers love the parables of Matthew 24 and 25. The list can go on. I suppose you should expect this because each segment of Christians you meet are called by God to manifest a different aspect of Christ. I have this other theory that a parable in Luke 14 is one of the forgotten parables of Jesus. It’s sad to me though, because this parable gives one of the most practical instructions on how to manage yourself with humility in a gathering you’ve been invited to. (I think it’s important to note that I believe Jesus would teach something very different if He were teaching you how to host a gathering. Don’t apply Jesus’ lesson on being a guest to the idea of leading or hosting.) Over and over I see believers not put this wisdom into practice. Below you’ll find the parable in it’s entirety. It’s better if you read it and apply it to your own life. But this time, read the parable as if Jesus meant you to apply this idea in any event you’ve been invited into. How would it change how you act? and he who invited you both will come and say to you, ‘Give your place to this man,’ and then in disgrace you proceed to occupy the last place. But when you are invited, go and recline at the last place, so that when the one who has invited you comes, he may say to you, ‘Friend, move up higher’; then you will have honor in the sight of all who are at the table with you. Now that you’ve read the parable, where does it apply to your life? Are there other places (i.e. like when you’re hosting or leading) where this wisdom won’t work?